Heavy duty, higher performance than OE quality absorbers. Superb handling, high stability and comfortable is SA series successful point. 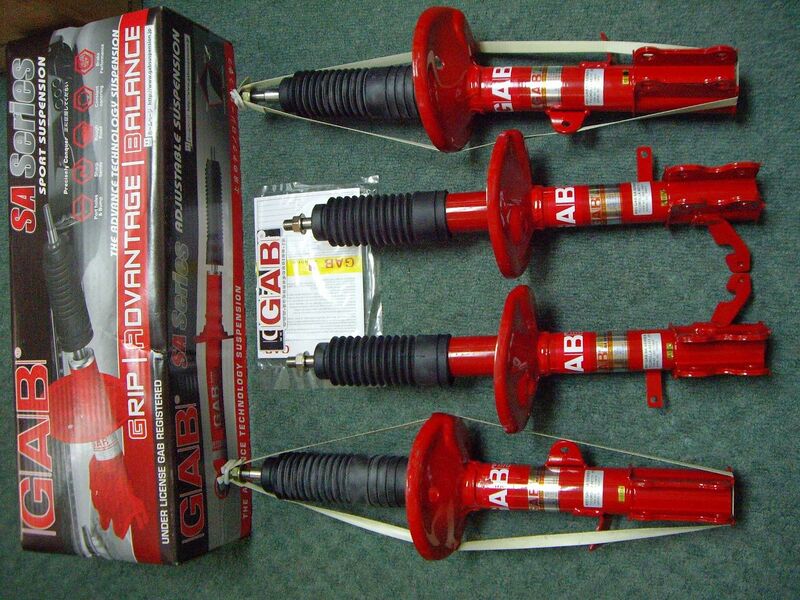 SA series are well balance heavy-duty sport absorber with Auto Valve Control Stability (AVCS) has the ability to be more effectively absorb the impact and vibration from uneven road condition, and provide maximum grip and traction. Superb handling, high stability and comfortable is SA series successful point. 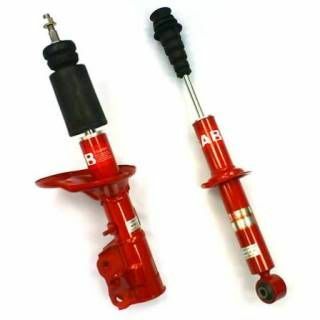 Unlike standard shock absorber, SA series sport absorber compatible with standard spring or sport-lowered spring without sacrificing ride comfort and absorber’s life span. 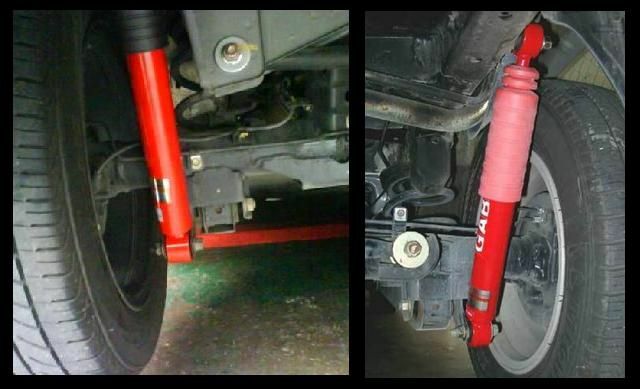 Compatible with all type of springs. 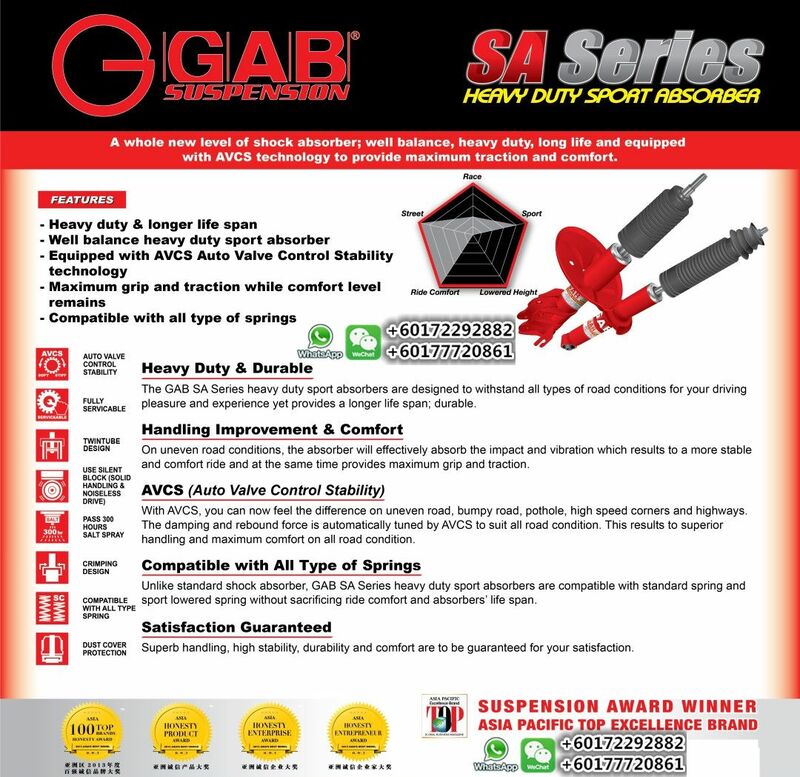 |G|A|B| SA Series come with 1 year warranty.